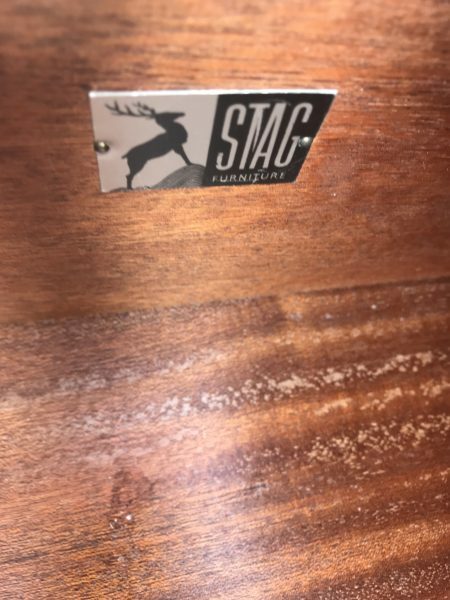 Designed by John and Sylvia Reid for Stag Furniture as part of the Cumberland Range. Circa 1950s. 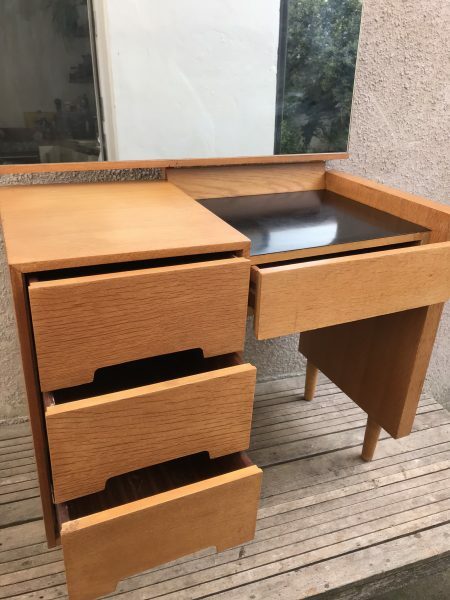 Crisp, sleek lines that still feel bang up to date now; this piece features a single floating pedestal, with three large drawers. 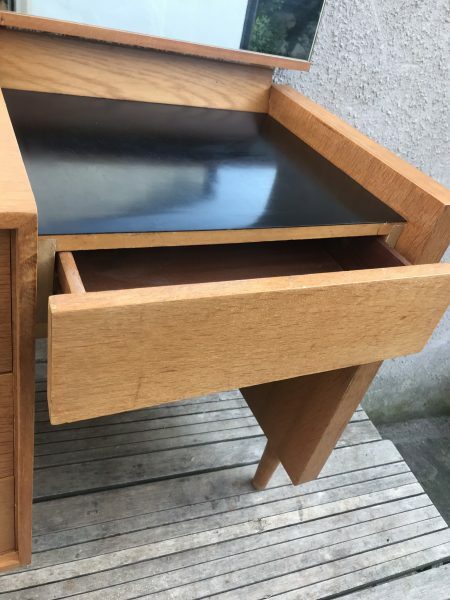 The pedestal is then joined across by an original black melamine-topped surface which houses a central drawer. 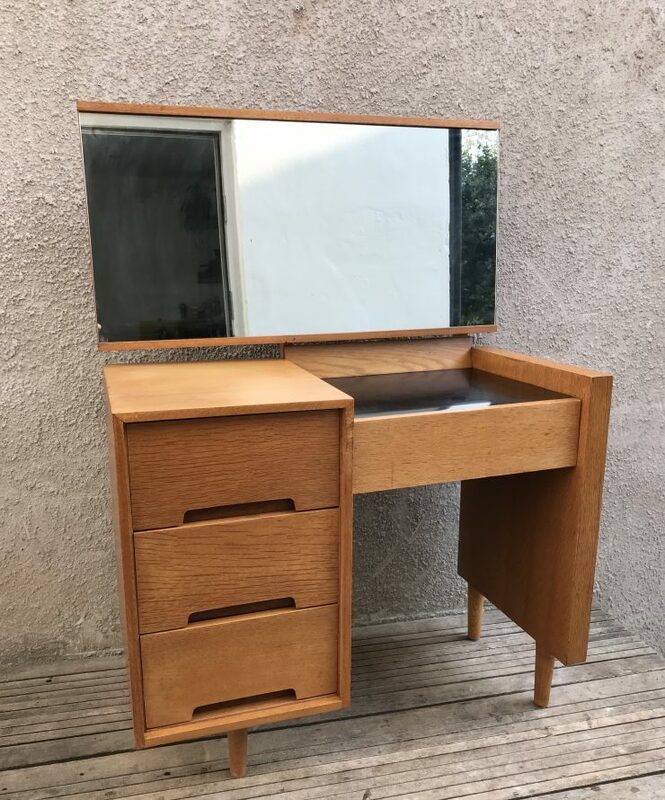 The dressing table is in original vintage good condition. Please review the photos – happy to answer any questions. It is sturdy in structure with no loose joints, and free from any damage or woodworm. The legs can be unscrewed if required. The mirror lifts off. 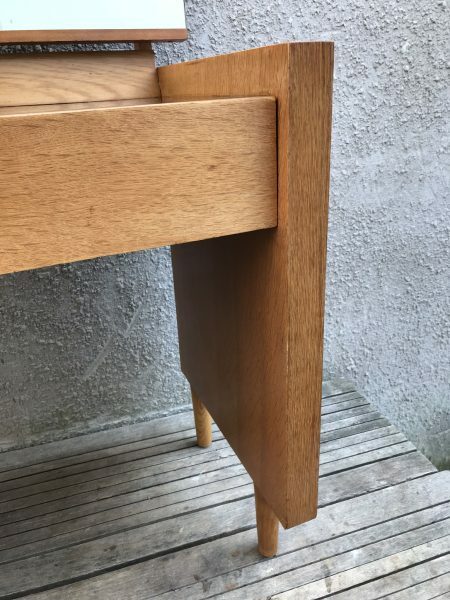 Originally designed as part of a modular bedroom system intended for young forward thinking homes in the 1950s, the ‘C’ range was finished in either oak or Australian walnut (this piece being in oak).